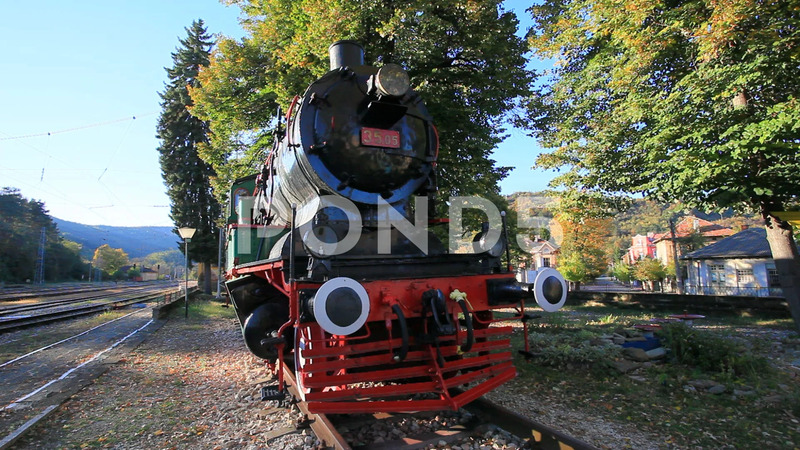 Description: Locomotive from the Bulgarian King Ferdinand's train. Produced in 1911 in Germany. Museum exhibit in Tsareva livada - Bulgaria. The steam engine weighing over 50 tons runs at 65 km / h.